Names.co.uk, a Namesco brand, has split its web building solutions into three easy to compare choices for disparate needs. Looking for a quick and easy first website? 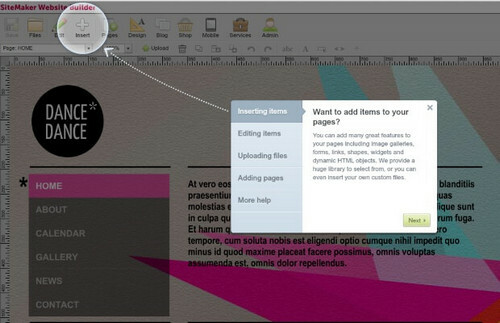 SiteMaker now uses HTML5 to blow away the competitors with this drag and drop editor. If the most important thing to you is responsive optimisation across devices, take a look at CloudSite for a competitive choice, and sleek and elegant templates and building functionality alike. If selling’s your game, jump on board one of three ecommerce options, and use ShopBuilder to start spreading your services using great SEO and marketing tools. Namesco offers three distinct packages for every business need. The editors and experiences are quite different. 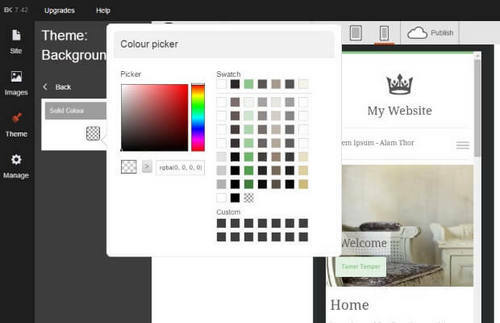 SiteMaker is a simplistic editing tool, with point and click functionality to help you build your first website. Using HTML5, it allows you to use SEO friendly templates to add text, images of your own or from Fotolia, which provides royalty free photos, and even to add some widgets, such as YouTube video and Social Media Integration. It even offers a simple mobile site included, and with a Pro account you can use Mobile Checkout through PayPal. 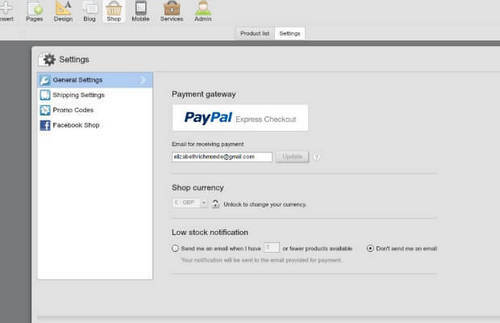 Using ShopBuilder, you can then sell products directly, or through Facebook and Twitter. Cloudsite is a slightly more elegant experience, with a more intuitive web builder to help you design your website. Responsive across all devices at the click of a button, preview your site on mobile, tablet or PC before finalising your design touches to ensure it can be accessed just as easily on the go, with no more work on your side. Made specifically for business websites, CloudSite includes PayPal functionality and shopping cart features to turn your site into an online store. Looking for a more specific ecommerce solution than SiteMaker or CloudSite can offer? The Ecommerce option may be the right choice for you. The website offers a demo to see what kind of features you can include in your online shop, but rest assured that security and speed are always on offer with Names.co.uk. In addition to limited time products, personalised product options and a variety of payment services included, Names also aims to help you market your brand. Share and Marketing buttons with social media integration, as well as an SEO Cockpit and the use of Google Adwords are sure to get traffic moving in your direction. Voucher codes and Price discounts should keep your customers smiling too. What about the architecture involved? Namesco offers a free domain with most packages, excluding the free trial. They also provide up to 5GB of web storage space with the SiteMaker option, and up to 10GB with the Ecommerce package. There's 1,000 GB of monthly bandwidth with the Ecommerce package and potentially unlimited bandwidth with the SiteMaker package. With up to 100 e-mail accounts and unlimited e-mail accounts with their e-mail package, users don't have to worry about setting up an e-mail elsewhere. With SiteMaker and Ecommerce packages, Google Analytics and SEO cockpit are provided so users can monitor how well their website or online store is doing. Names.co.uk offers three distinct packages suitable for different kinds of businesses. SiteMaker will allow even the most inexperienced to build a website quickly and easily. There is a 14 day free trial, and after that you can choose to pat £5.33 a month to keep your website and all it’s benefits, or upgrade to SiteMaker Pro for £8.33 and receive a larger allowance of everything included, and the ability to use Mobile PayPal Checkout. CloudSite is the more sophisticated choice, with more features and design options, as well as more flexibility for responsivity across all devices. After your 14 day free trial, CloudSite will cost you £11.99 monthly. Lastly, Names.co.uk offer an Ecommerce option. There is no free trial, and the cheapest option is £16.66 monthly, with premium and platinum accounts costing £33.33 and £49.99 respectively. All the ecommerce plans are intended to help your business expand internationally and attract high volume and high traffic. The website offers easy side by side feature comparisons to make the best choice for you and your brand. Names.co.uk offers a support centre split into categories to find answers to any problems that may arise. They also have three distinct help centres for the three packages they offer, letting the user find the right person to talk to far quicker. If you can’t find an answer in the FAQ or the help section, or by watching the video tutorials, you can log a support ticket, and should get a speedy response. There is no live chat available on the website, but there is a direct phone number to use, There are also quick start guides available to download to get you on the right track. Names also invites you to get in touch via social media, providing links on the contact us and support pages.